It is important for dealers to monitor all systems in the field and keep the software and hardware up to date to avoid any security breach that could occur due to outdated technology. This should be part of every maintenance agreement. Scheduling an annual security assessment should be part of every sale. IPitomy constantly updates our software and has a policy of enabling the latest security enhancements to avoid the consequences that come with security breaches. Everything connected to the Internet has security risks. Since all VoIP systems are connected directly to the Internet, it was more than just a little obvious that steps had to be taken to protect customers from threats of hacking. Older systems using TDM technology are not immune to hacking. The fact is, that most successful hacking attempts happen on unsecured equipment that was not designed with the modern hacker in mind. Hacking attempts happen in several ways, but the most common are through insecure passwords and older TDM equipment that allows access to the PSTN by dialing in or insecure default passwords. Hackers are usually from outside of the country and are looking to make a huge amount of phone calls from a customers phone system, disguise who they are while making calls or gain access to the data on their network. An Important way to eliminate and control being exploited by a hacker attempt is to use IPitomy SIP trunks. IPitomy SIP trunks control access to international dialing. If a customer has no intention of calling out of the IPitomy free calling area, (US, Canada, Mexico, UK , Puerto Rico and the US Virgin Islands, IPitomy blocks all international dialing from your SIP trunk, adding an impenetrable wall against exploitation by unscrupulous hackers. IPitomy has three International plans. They range from completely locked down (retail 1) to access to safer international destinations (Reatil 2) and a wide open version that still blocks the worse known fraud destinations (Retail 3). The easiest and most important methods of thwarting hackers is to have secure passwords. Pin numbers matching the extension numbers and access passwords that are easy to guess or default are the primary way hackers exploit a customer phone system. 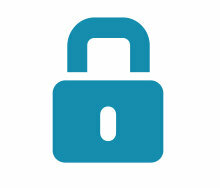 IPitomy, premise based systems as well as hosted systems can be protected through the access control list. This list allows access only to specified IP addresses, dropping any packets that do not come from an approved IP address. While this can also be programed into the router, having it on the PBX itself provides technicians with an additional level of control and security to block hacking attempts from ever reaching the equipment. Of course, a hosted PBX system can be secured in the usual manner, but it has one huge advantage. A hosted system is not connected to your customers data network. Should it ever be penetrated, your other data is safe. Not being on a local network where hackers can penetrate from other vulnerable devices such as cameras, PC's or other vulnerable entry points provides yet another very important level of security. In situations where a phone system may require roaming remote users, IPitomy has added a another security layer. Log Watch and Ban can be enabled to thwart attacks when the access control list is too restrictive. IPitomy Log Watch and Ban monitors system logs and detects potential hacking attempts. When a potential hacking attempt is identified, the IP address of the hacker is put on a deny list and banned forever from further attempts. All packets from that IP are dropped, eliminating them from gaining access to the system. So far we have laid out the IPitomy security process. These tools allow IPitomy dealers to secure an IPitomy phone system with little effort and a great deal of control. Unfortunately, there are many phone systems installed in our dealers customer base that are not so secure. If a customer has an open source system, TDM system or older voice mail system, it is advisable to switch them over to IPitomy ASAP. There is a massive group of hackers out there with sophisticated automated technology that has their sights set of ripping off your customers. Call IPitomy to learn more about security and how to keep your customers safe.